Does your child like jumping and running around the house? Then he will definitely love it here! 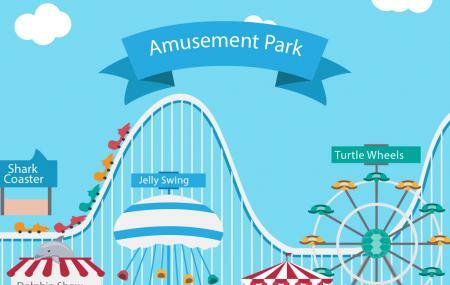 This amusement park is the perfect place for kids of all ages. The indoor and outdoor area is loaded with lots of colorful toys. It helps in creating the vibrant atmosphere. The plain open area is accessible even during the Winter. Even adults love playing in the snow here. Visit this park if you are travelling with kids. You will have a fun-filled day. Tarvislandia is not a popular tourist spot and visitors exploring prime attractions like Santuario Del Monte Lussari. For more popular attractions visit things to do in Camporosso In Valcanale. Create a flawless plan, make use of Camporosso In Valcanale trip planner. You won't miss your home when in Camporosso In Valcanale, hotels in Camporosso In Valcanale like Hotel Trieste, Hotel International and Hotel Valleverde offer some of the best places to stay in the city. Explore the best Camporosso In Valcanale vacation packages that will take to you important landmarks of the city! For getting in, check out how to reach Camporosso In Valcanale. Love this? Explore the entire list of places to visit in Camporosso In Valcanale before you plan your trip. Fancy a good night's sleep after a tiring day? Check out where to stay in Camporosso In Valcanale and book an accommodation of your choice. I was there today at 17:00. The sun was shining. No rain. But the alpine coaster was closed. Fun going and enjoying riding a sleigh on snow. Great atmosphere. It is my first time to be Treviso and the first impression was beautiful. Greta nature. Go and see😍😍😍 my child enjoyed a lot.